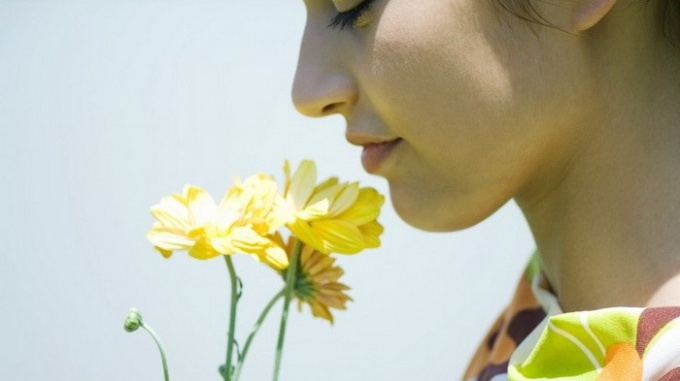 Hyposmia or the loss of smell is the weakest sense of smell, which can have a variety of causes. If this condition is not treated, it can go to anosmia, or complete non-perception of the smell and taste of food. Violation of smell can be caused by colds and viral diseases, in which the sinuses produce large amounts of mucus. Most often hyposmia cause frontal sinusitis, sinusitis, chronic and allergic rhinitis, prolonged use of a vasoconstrictor, used to treat the common cold. If you have become worse to smell, contact your audiologist. You will have a complete medical examination, on the basis of the results of which will prescribe the treatment. To treat the underlying disease that caused the violation of the sense of smell, your doctor may prescribe antibiotics if there is inflammation with purulent contents. Also successfully used anti-allergic medicines after the test identify the allergen. Physiotherapy is provided by a course of 10-15 treatments and helps to alleviate nasal congestion, eliminate inflammation, resulting in sense of smell fully restored. During the course of treatment avoid taking starchy food, avoid greasy, spicy, sweet, canned food. The main diet should be vegetarian food, carefully pureed lean meat. Milk and potatoes completely eliminate from the diet. On medical advice at home to clean the nasal passages of accumulated mucus by using a weak salt solution. For its preparation dissolve 1 tablespoon of sea salt without additives in 1 liter of water, rinse the nose with pediatric enemas 3-4 times a day. Steam inhalation helps to eliminate excess mucus and improve nasal breathing, but to hold them only on the advice of a doctor. If your doctor has permitted you to conduct additional treatment, use steam treatments, brewing nettle, mint, sage, mother-and-stepmother. The method used is quite simple: steep the herb in a saucepan, cover with a towel, inhale mouth, exhale nose, or Vice versa. The procedure is carried out at bedtime. Integrated treatment to resolve the inflammation and accumulation of mucus will help you to completely restore the sense of smell.